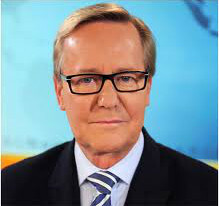 ABC’s 7:30 NSW host, Quentin Dempster is recovering today after being found dumped in a drain in Western Sydney. The ABC presenter was in good spirits though a little shaken up, after a group of cyclists rescued him after hearing his voice coming out of the drain. It is unclear how long Mr Dempster had been down the drain. In good news for Mr Dempster and the ABC, the three cyclists and four paramedics involved in the rescue constituted the biggest audience* Mr Dempster had performed to in years.